Samsung Galaxy Note 3 phablet currently has faced several technical issues since it has been released on September, 2013. Some Galaxy Note 3 users reported they come across the regional lock for the smartphone, while other problems like reboot loop, handwriting bug, sluggishness, Wifi disconnection and Google play also annoyed many Note 3 owners. 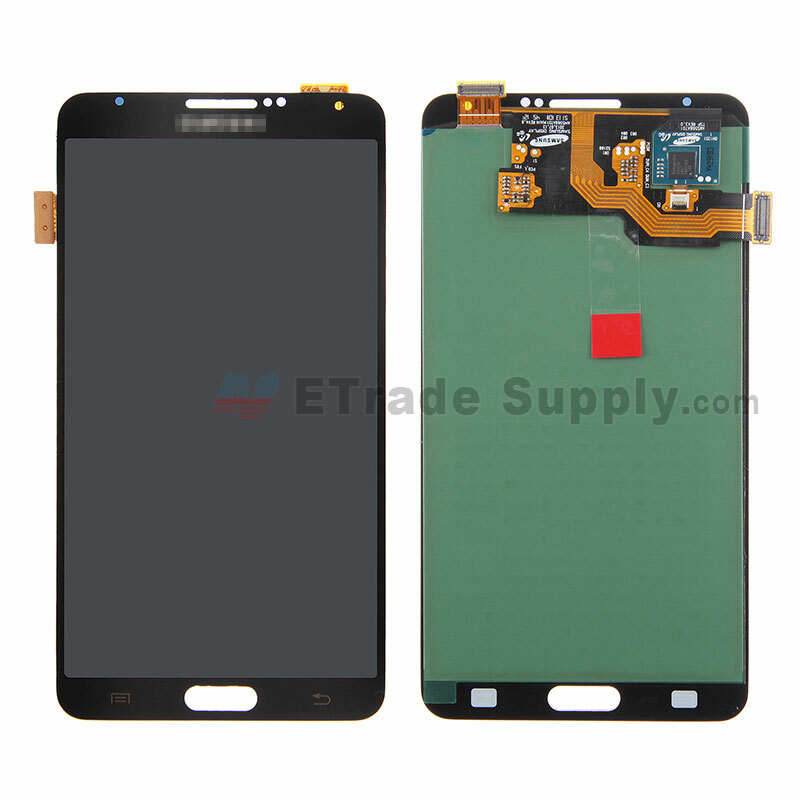 Here we walk you through the main Galaxy Note 3 problems followed the related solutions. Hope it can help you fix the problems you met on Note 3. When customers purchase a new Note 3 in Europe, such as Germany without contract deal, they usually find it is hard to activate the new Note 3 in another region, like the United States. Many people shared their feedbacks that they have suffered from the Galaxy Note 3's region-locking. Their SIMs from specific regions seem to be locked and show unapproved or incompatibility to the new phone. How to solve the regional lock problem for Galaxy Note 3? You can activate the Note 3 from the place where you purchase the smartphone before using it. If you forget to release the region lock at oversea, you also can follow our tutorial on how to unlock SIMs or solve the region lock for Galaxy Note 3 to solve the Note 3 locking problem step by step. Plenty of Samsung Galaxy Note 3 users said on XDA-Developers forum that their devices occasionally enter a boot loop. Some reported their Note 3 would reboot while charging, plugging in or installing apps from the Play Store. However, the reboot loop problem is not really solved after a hard reset. 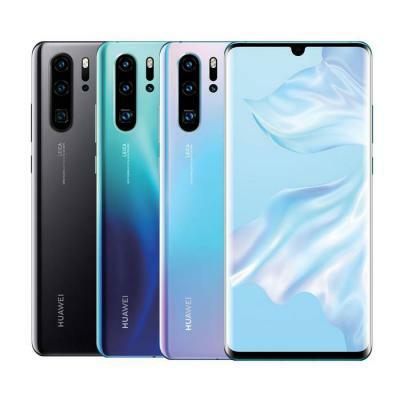 The issue might be caused by the inserted micro SD cards, the apps installed on the handset or the antenna, because switching the device to Flight mode can be helpful in most cases. When your Galaxy Note 3 units experience the troublesome random reboot loop, you can remove the back cover and take out the battery. Then follow the steps below to uncheck the option “Always allow scanning” to handle the continuous reboot problem. Many people have managed to handle the Note 3's reboot loop issue by following this troubleshooting. It happens to many people that they drop their devices from time to time. 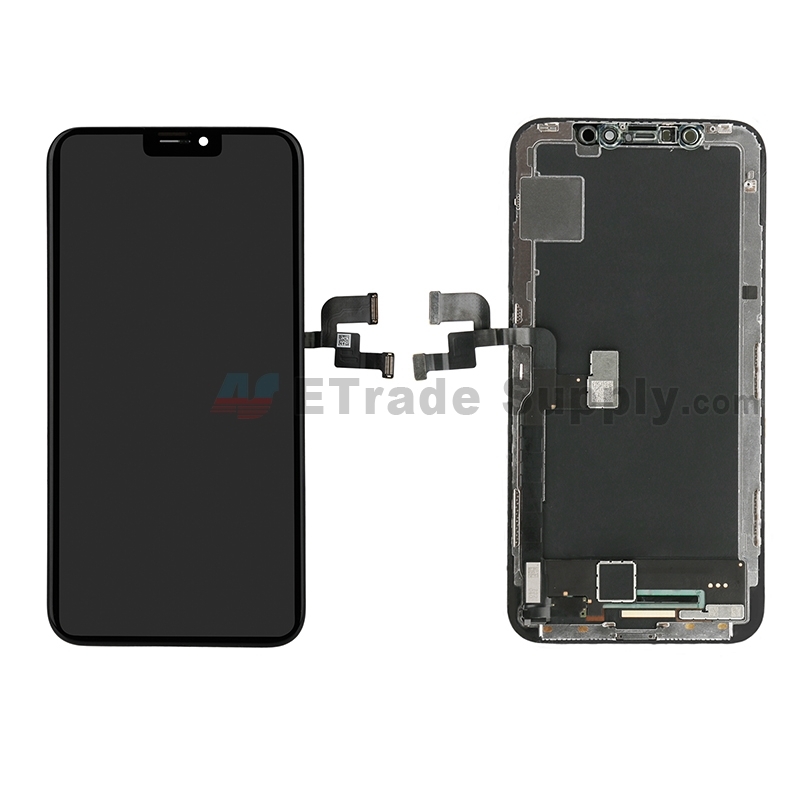 It is easy to break the screen when dropping even though it is a Corning Gorilla glass, and other parts of the device might got broken too. In this case you may have to repair you phone. We suggest you make a DIY repair for your device. You may need these Galaxy Note 3 replacement parts for repair and you can watch this Galaxy Note 3 disassembly video for reference. Recently, Galaxy Note 3 Google Play problem has frustrated many users, for they failed to download applications to their device from the Google Play Store. They encountered various error notices when they installed or updated applications. The errors range from the failure to download apps, general server problems all the way to the Google Play Error: “Error retrieving information from server. [RPC: S-5: AEC-0]”. How to fix the Google Play problem for Note 3? Please check the following related solution. 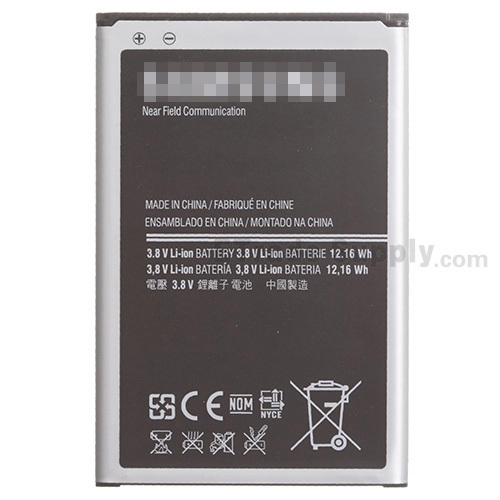 Smartphone's rapid drain battery is always to be blamed in the world, and the Galaxy Note 3's battery is no exception. Even though Samsung has applied 3200 mAH battery as well as the Super AMOLED screen display to the Galaxy Note 3, the smartphone is unable to last up to a whole day. To better save your Note 3's battery capacity, you can try the following Note 3 tips and tricks. • Disable all features you are not using, such as Wi-Fi, GPS, Bluetooth, NFC, etc. • Reduce your Note 3 screen timeout duration. People always get annoyed when they suffer from the troublesome Wi-Fi networking connection problem. Reports from Android Central, Androidforums and XDA-Developers forums presented the Wi-Fi connection issue has plagued many Galaxy Note 3 users. They said their Note 3 constantly disconnected and then reconnected to Wi-Fi. When your Note 3 experienced lots of trouble in holding on to the Wi-Fi connection, you can try the following solution. Some Galaxy Note 3 owners reported the handwritten bug problem with the S Pen on forums. They said they wrote words with S Pen in the enabled handwritten box showed on the screen, but found nothing in the input field. It can be caused by the Note 3's smartphone technical problem. To permanently deal with the problem, there is no other solution but to return the device to the retailer for replacement. Some Note 3 users complained that they were impatient with the slow speed for the new device. Although Samsung has tried to improve the performance for Galaxy Note 3, the device also faces the common lag problem on most other smartphones. The Galaxy Note 3 is likely to slow down if you activate too many features and apps, so follow the steps to increase the speed of your device. When you are encountering the sluggishness and find your Galaxy Note 3 lagged, make sure you have shut down all features or apps you don’t use at that time. If you have met other Samsung Galaxy Note 3 problems rather than the above mentioned, leave your comments. We’ll do our utmost to help you. I bought Note 3 when it first came and am still using it in 2017, though every now and then people run into me telling me if I will be hanging on to the ancient device!!! I wonder why should one have to switch over to the a more latest gadget if you are okay with a old one I don’t see any reason to switch over to the contemporary ones what do these gadgets have to offer? will mine stop working cuz it uses kit kat? my mobile video & audio playing slow motion… how to i solve it???? All of the sudden my note 3 won’t connect with my car. It shows my phone model number in the display of my car but when I click “connect” it will try but it says “Unable to connect”. my phone bluetooth is turn on but it won’t connect. It was fine before but i don’t know what happened? My Samsung Note3 had been used it around one and a half year, the battery seems having problem, so I bought an original battery at the Samsung outlet, the first new original battery I use only last for one day, the next day the phone itself repeated restart at random, and only able to see Samsung Galaxy Note3 SM-N9005 keep on flickering and also can hear the vibate sound, went back to the outlet for one to one exchange an original new battery, everything seems function well, last about one weeks plus, then same issue happened again, I have to rely on the charger to plug in the socket then the hp can restart and back to normal, but once I unplug the charger from the socket, the hp entirely can’t function at all, I have tried to insert my family members original battery into my handphone, everything seems alright and without plug the charger in the socket, I don know what is going wrong,? even I have tried to remove my battery or sim card for awhile and put it back, also do the factory original setting, uninstall whatever application from play store, every single efforts I have put in, but all useless, now I can only plug in my charger in the socket at home to use the hp, how to expect me to look for socket everywhere to plug my charger when I am outdoor, any online friend please help me. I have a samsung note 3, it was working fine yesterday but I noticed some of the numbers on my screen lock didn’t look like numbers anymore but symbols or something so I decided to restart my phone. After holding down the power button a few times it wouldn’t restart so I decided to take out the batteries and then placed it back in to see if it would restart and since then it will not start back up. Its been charged the whole night and the battery shows that its 100% charged yet I am unable to get the thing to power on again. I’ve tried the hard reset thingy as well but have had no luck? What am I to do? Is it really broken now? how can wifi and Bluetooth stop working and will not let you connect back to it . Does that mean somethings wrong with my phone. in my phone .. the messaging options turned to s pen writing .. I can not typing any message … there’s I can not get any letters in English .. all are only symbol n about S pen .. how to solve it n where to change the settings ??? Note won’t let any apps dowoad either from the Galaxy store nor the Google play sites. Try turn it off and then on again. Every time mine does that I would turn it off and on then it fix itself. I’ve tried several in call recording apps on my note 3 but in each case I am unable to play the call back. I just get a loud humming noise instead of the actual recorded conversation. Anyone else have this issue? My google account is synced but I can’t get my note 3 to search the internet. It was doing fine until yesterday. Any suggestions? once there is incoming call, my note 3 rings once and automatically i find the call is received already without me touching the receive call button. This makes my callers hang if they dont here my voice immediately answering the call. I have a Note 3 and I cannot sync my calendar. Anyone with this problem. I also get this error message “android.process.acore has stopped”. I’ve Note 3 and since after the Update it keeps forgetting the wifi connections. I’ve to re-enter the passwords of my home work or any other place. I did factory reset it but it didn’t help. It is still under warranty but they need to keep it for 2 days only for the diagnostic test. Does anybody have an information about it …???? I am trying to change the sms tone on my Note 3 I do exactly what they say to do and I still cant get it to change. My son also has a Note 3 and he cant get his to change from the default tone either …any suggestions apart from going back to Iphone ?? i have a Samsung Note 3, the problem is when i get a missed call it will not allow any more calls to come through until i have deleted the missed call, also the signal will drop when this happens but come back as soon as i have deleted the missed call, is there a fix to this problem? I have a problem with downloading! When I download sth such as a picture or music or… it tells me download is completed.. But the problem is here! I cant find the thing for about 2 or 3 days! After some day the thing appears!! Can you help me friends?! I have a note three, my battery is being consumed by mm-qcamera-daemon. 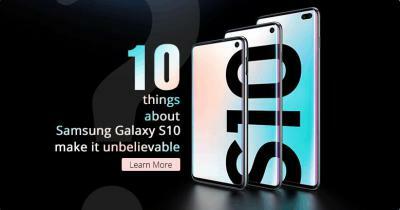 I talked to Samsung about this and they told me they have never heard of it. they had my wipe the cache clean. this worked for a day but it was back the next day. has anyone else expereinced this? You know when you call someone and the automated system answers and say press 1 for? Well I push it and the system doesn’t recognize that I have push anything!! I try over and over and I can hear the sound that I’m pushing the # but still not recognized!! Please someone HELP! My Note 3 became unstable one week ago. I just forgot to recharge it and its battery was totally exhausted in the next morning. After recharged and booted, its lower half of the screen has become unresponsive with finger although Pen still works as usual. It means, I have to use Pen whenever I want to access to icons lying within the lower half of the screen. How can I fix it? Thank you. now I have done a factory reset and no help at all…. most annoying to say the least. AT the same time I tried my Samsung s4, and it is working. My note 3 which I bought in Dec 2013 ie 5 months ago ; was working well ; but when I was at Singapore 3 wks ago ; I updated it to Kitkat and after that video player started stuttering & now video is in pause mode only ! I tried one solution suggested online which asked me to go in developer option & then to activate FORCE GPU CLOSE ; which I did then it worked but it was not working after one day !!! Any solution ??? can u plz help me out? how to increase the msg typing speed of galaxy note 3? My gallary photos are all Grey screened and you can’t view the pictures anymore. My battery dies before 3pm everyday! I have the same wifi problem and a lot of the other similar problems as all listed above. I was so excited to switch to switch to this phone after having an I phone, turns out I really miss my I phone. This phone is horrible, I think samsung should recall this phone. They really didnt work outvall the bugs in this phone. 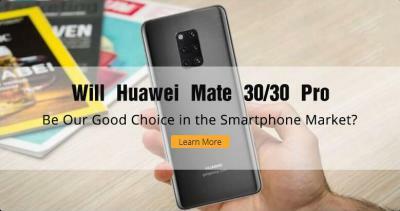 If you are thinking of purchasing this phone DON’T do it!!!! I have bought Samsung note 3 3 months back and it was working as a good phone I ever used. Now a days the bottom left key menu is opening itself while using some other functions. Since I am unlocking the screen the issue is starting..
bought Note 3 a month ago. for a week I had no issues and then suddenly my camera started taking an unusually long time to take photo. then when i clicked on gallery to look at photos got error saying “the process android.process.media has stopped” and none of the pictures I took prior to this happening are anywhere on the phone (not on device or on my sd card). TMobile did a warranty and I got another phone in about 2 days and it does the exact same thing. camera lag and Gallery won’t open. If you have preview pictures turned on in Camera settings, it automatically takes you to Gallery to preview photo but of course it doesn’t work. Thinking I should have either kept my Galaxy S3 or moved toward the devil that is Apple IPhone. i have the Sprint Note # and its less than a month old, when I make call it just stays in the dialing mode after a while it says call lost. I also can’t send or receive texts. When I do receive texts they are delayed for at least 5-6 hours. My data however is perfect at 4GLTE. I need help this is so frustrating. I m having problem opening a new window with my N3 internet. it will always overwrite my current webpage which actuali I want it to open in 2 window. any one able to help? 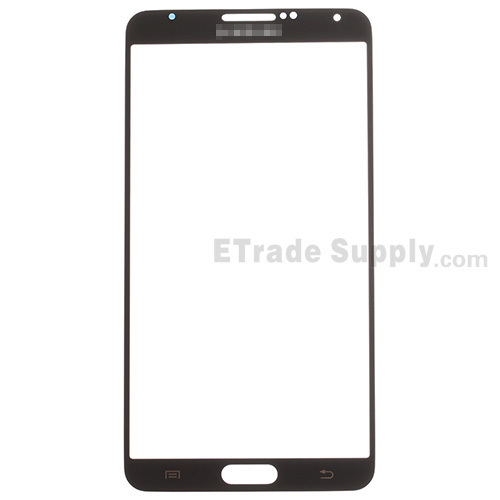 Samsung Note 3, the Screen goes Dark or Black during a phone call and then sticks! I had to pull and reinsert my sPen several times until got a very low output display. In settings I turned off the Auto display brightness control and now everything is fine. However the Display is always on the same setting but that is better than no screen at all. Samsung Galaxy 3 Note – unable to get Most Recent Posts on Facebook. I have this phone every time I try to set up or use the hands free on it tells me it experienced a server error occurred please try again??? Got my Note 3 (SM-N900) yesterday. Got the restart problem. it just restarts when it likes to. i tried the Uncheck “Always allow scanning” option but no go, i even removed my SIM and SD card and still it reboots. I also read about Google play updating a app that also causes the boot loop so i turned off Google play, still reboots when it likes to. It has KitKat on it. i took it to the shop and they will be giving me a new one next week. Does anyone have a stable Note 3 with KitKat on it? I would like to know the Baseband version and build number ( Settings–> About) maybe that could help. Note 3 starting to freeze have to reboot often. but biggest complaint right now is once i use the S pen in text i can’t go back to key board. even on restart it is stuck on s pen input. it allows me to put in symbols or smiley faces but no keyboard for text letters available no matter what I do. Hope there is a fix for this. just to let samsung know as well, my wifi is so unreliable i can’t use it even at home where signal strenth is strong it cuts out. I can only use my provider data. The problem I’m needing help with is the email badge is not responding to new emails. If I delete the accounts and start over, it works for awhile and stops again. I’m using 2 company emails and yahoo. Never had this problem with Note 2. Everything is stock. I have the problem of when I take pictures sometimes they are all gray or have a gray stripe across the picture. It doesn’t happen all the time but enough to be frustrating. I have several pictures on my phone now of important moments but is nothing but a gray square on the phone. When I get a text or a facebook notification, I can’t open it through the drop down screen. When I get an email, I can open it through the drop down screen, but not texts and facebook. Anybody have a clue on what to do? Thanks. I am having N 900 samsung note 3 model, I am trying to delete a google account. As per above instruction, tried from settings, but Accounts option itself is disabled or not working. I have tried lots of things, but not getting worked out. Theres nothing you can do about any of these issues…I got my Galaxy Note3 a couple weeks ago, an all I have to say..the phone is beautifully designed but lacks the knowledge to even work properly. Ive taken 3 trips to verizon store in a week. I spend 45 minutes on the phone with Samsung, and another hour on the phone with Verizon. Ive googled just about everything I can possibly do to fix this poorly made phone… My main issue is my phablet wont stay connected to the wi-fi.. Ive did everything that was suggested..and still nothing helps. I lost my unlimited data..So i feel as if its forcing me to use up my data bcuz it wont keep a steady connection to the wi-fi. The lady at Samsung when I told her about my issues, she tells me that there has been no reports of such problem..she must not be working there long. Soooo..if anyone knows how to permanently fix the wi-fi issues please share the knowledge, buz it doesnt seem that Samsung or Verizon kno jack *hit about resolving these issues..
my galaxy note 3 is protected with screen lock. I drop it and the glass is broken and I cant see anything. I just want to know how I can I access it from my pc by USB and make back up of my data before I go to the shop and fix it.? Thanks for your information. Worked well for me. My contacts in note 3 is sooo slow to open. It takes 2 minutes just to open the list. And another two minutes to open the person’s detail. Is there any tricks to get around this? When my note 3 is locked and the screen is black, I press the home button or lock button to unlock it and the screen just remains black. It’s so annoying. Is it a fault or other issue? I have my note for 2 months now , from today it stucked in the starting Samsung model screen and freezes. please tell the solution for this.SHOULD I consider it a defective unit or it’s a software bug we should wait to be fixed through Samsung ?? i have a Samsung Galaxy mini handset with me. I was quite happi about the phone not until the wifi and 3G data connection gave me tooooo much trouble. i tried following all sorts of troubleshooting ideas.. but none have worked so far. And worse than this is.. 3G packet data also does not work at my home. If i take my phone to the shop and ask him to troubleshoot the problem.. it connects there, but not at my home..
Well, i am a regular Samsung user, i have got my note 3 about 4 months ago, and i have found out that installing an older version apps or games, can cause huge problems for the phone, much like the ones you are describing. Another thing is the microSD card, ALWAYS use a min of class 10 card, this refers to the card speed for writing and reading, a slower card can give you hell, and really make you hate your phone. and ultra high speed would be a definite plus. One last big improvement, if you dont fancy much the samsung touchwiz, try to install the new 360 Launcher, its such a smooth and fun launcher. One final tip, Using Clean Master Pro (paid) can really free your device of errors, junck files, and bugs. recently bought note 3, its nice but only thing is after updated to kitkat feeling like warming while charging and browsing especeially near camera area front and back both, please let me this type of problem is occuring for me only ??? really feeling bad.. please give me the solutions please. hi, im having a problem with my note 3. the screen does not want to come on, the phone start up but the screen remains black. can someone please help me turning my screen back on the phone is 2 weeks old, it wasn’t dropped or damage is anyway!!!! I too have been having this problem since the latest OS update! Very frustrating. I am having the same problem. Did you find out how to fix it? Having problems with charging. I tried charging with the cord it came with connected to the wall outlet. Nothing. Tried it with the computer. Again, Nothing. Even tried a “compatible” charger and again Nothing. This is the second phone within 2 weeks. First one Verizon changed because issues arose within a week of me getting the phone. But the second one I was directed to Samsung who stated that it was a charger issue and they were sending me a new one. Ummm. I explained that this was the second phone with the same issue. New phones out of the box! Was thinking of getting one of those pads where you don’t have to use a charger. Anyone every tried that? So frustrated. Never had had an issue with my Note 2. I am back to using it. I honestly think they should have a recall on this phone and get all the kinks out. Anyone have any idea how and if anyone can start a recall on it? Thanks for sharing the common problems with Note 3. I purchased a Note 3 8 days ago, and so far I noticed that my phone does not switch from Wifi to Mobile Data very well, even though have been enabled. Sometimes it does and most of the time it doesn’t. Any idea what the issue is? I have the Note 3 N900a (At&t version bought out right running with Net10 At&t simple card) and a 30gb ad card). A couple weeks back the touch screen stopped working in essence turning my phone into an expensive brick. Had it not been for the S pen I would have been done. The two buttons (back and menu) at the bottom still worked. Since it is an At&t phone I took it to a local retailer. The first question was ” were you out in the cold and how long if yes” the she realized the bottom 2 buttons worked. Apparently these screens are known for having low tolerance for cols temps and can be permanently damaged. she tried taking the battery out to reboot like I did to no avail. I left and went home removed all apps I downloaded, no help. I backed up everything and did a factory reset. Still didn’t work. Mind you all this with my S pen because screen would not recognize my fingers. Then I called Samsung and they were confused after many attempts to resolve. Wanted me to send phone in for service. To this point I had rebooted, taken the battery out, uninstalled all the Apps I installed, done a factory reset. Now I was getting ready to pack and ship to Samsung. I removed my memory card and Net10 sim card. I put the sim card in to make one last call to realize the screen was now responding to my finger. I called Samsung to cancel the service repair order and the screen has been working fine ever since. I don’t know what it was that fixed it. It may have been one thing or a combination of all. My guess would be something with the SD and/or sim card. My note 3 is taking long processing time and sometimes it will lag when I take photo. how to solve it? I have had my note 3 over two months now, it just started saying ‘network not available’ and not letting me make nor receive calls. Pls I need help!!!! I’m having problems running Show Box. It doesn’t matter the quality of the video it always run like lagging. The audio is fine y just video that is kinda jumpy. Dose anyone know how I can fix that? Why do samsung galaxy have off button and volume button on the side where phone is easily turned off or volume altered. Otherwise phone/note 2 is great. After software update last few day ago.My note 3 unlock screen become very lag when press the power/home button (took more than 8 second) . Anyone have the same issues? Hey mate, try turning OFF power saving mode! I just got the Kit Kat update 3 weeks ago and experienced the same probs over the past week. Power saving apparently did the trick for me. Hope it works! My Note 3 self destructed! And it was only 5 weeks old! I was changing fonts in settings when it shut down the screen and went incredibly hot. All the fiddling with batteries, starting again, recharging, removing sim, etc produced not a jot of good. It just continued to cook its self. I was also not impressed with my provider – Telstra – who insisted that the phone was outside their 4 week new-for-old replacement period so I had to accept a reconditioned model. Has anybody had a similar problem? If it is a known fault I may have more grounds for getting a new replacement. Hi Megan do you have anymore info on this problem? My note 3 has just done the same thing…cant find any other complaints about this on any other forums. good morning, by the way can you help about my samsung galaxy note 3 n9005. become emty battery but i replaced new battery but still no power now the problem the main board was hot while on charging. I have reboot loop problem after updating software but similar to none of the above. Phone works fine without sim and loop reboots when sim is inserted. Tried deactivate auto wifi scan but not solving. All of a sudden with every incoming call. AFTER I accept the call. A lady asks me again if I want to accept the call and I have to press 1 or 2 to have an actual conversation. How in the hell do I make this go away???? Note 2…For those of you plagued with the ‘soft’ reboot cycle especially when installing apps. I tried the disable WiFi scanning suggestion for the S3…no joy. I then pulled the 32Gb SD card I have been running for over can year…now it installs anything and is 100% stable…put it back in and the reboots start again. Yet to try formatting the card and reinstalling but at least now I have a useable phone. my galaxy note I’ve just bought had a Chinese character at the bottom left corner.. it is like a sticker and won’t go whatever I did and appears in all the pages and apps.. can any one help me with that?? Did you manage to fix this? my one also has the chinese characters in the bottom left. The first happen randomly when a 2 any to quit the sleeping mode. Sometime it’s OK. But 60% of time it takes 6 secondes and often, right after, it come back in sleeping mode … very frustrating. The second is a problem with my battery. It’s happen 50% of time. I recharge it … and 3 hours later. … battery is empty and phone very hot. I have a problem with my Samsung galaxy Note3 as I start my camera it shows an error ” unfortunately your gallery has been stopped”.. plz give me a suggestion or solution that what should I do for its recovery..
For whom asking where is the hidden menu.. after typing *#0011# and entering the new page, u have to press the phone menu button the hidden one beside the Home button and chose Wifi, then proceed as described… Good luck! That *#0011# will not work on my Verizon gn3.Is there another way to disable wifi power saving? For you and all other trying to find the answer to this problem I happened to have solved it in my case inputting *#9090#. Then follow the instructions as always. It worked for me. I cannot guarantee it will work on yours, but hope I helped. My note 3 which is my second one do to first one had all kinds of problems. A few of my apps keep crashing like factory email app, gmail app, system ui, my magazine, play store and some others..very very aggravating. I have did everything i have read but still have these problems.. i love this phone but i can say i never had any problems out of my iphone’s and i am second guessing switching..please help!!!! I have recently purchased note3 in Dxb n my phone seems to be heat up from back around camera area when I play candy crush or temple run or other games.but fortunately it doesn’t heat up when I search on Google or watch you tube . Is there a problem in my battery or phone. Secondly when I purchased that time when data was transformed from ad card the battery got hot. But the seller said it normal. A Google search and this page ‘saved’ my Galaxy Note 3. I got up this morning and turned it on before going to work like I normally do. However, this morning the phone would not boot past the Verizon splash screen (which stayed on the display). I performed the “Problem 2: How to Solve Samsung Galaxy Note 3 Reboot Loop Problem” steps and it solved the issue. I have never encountered any of the other issues (so far, knock on wood). The setting in question, I believe was a recommendation from within a Google app: I can’t remember the exact app, time, situation unfortunately though it was the day before the incident. I do know I did not manually go into settings and turn ‘Always allow scanning’ on. Thank you for the helpful post. Was having a bootloop issue, but now phone won’t boot past Verizon white logo. It hangs and screen stays on along with blue LED. I’ve attempted to a factory reset with the Volume up trick with no luck. I’ve even wiped the cache. I can’t get in to enable debuggin so I’m stuck. My Note 3 has just started to continuously reboot. I’m seriously worried that this could potentially damage any internal parts of this phone. Considering switching to Apple since their devices and store are more stable and less glitchy. my Samsung Note 3’s proximity sensor is not working. During a call, the screen goes black, but when you pull it away from your face the remains black and you can’t hang up or accesss any of the in call features. The gesture features don’t work either. I brought the phone back to where I purchased it off contract (Samsung retail store). They send the phones off to a third party for repairs. It was supposed to take 2 weeks. It’s now into week three and she I call Samsung I can’t even get an answer about when it will be fixed. For a phone that wasn’t even two months old, they should have swapped me out with a new phone. Totally disappointed with their service. I had the same thing happen!! During professional calls !! my note’s wifi drop me out.when I try to connect to my router it open one of my browser and want from me to sign in.but I don’t know to sing in to what?and after 2 min it drop me out and show this notification this network is not available.your certification has expired” and sometimes “your network has been disconnected.your sign_ in timed out” whirly I have to do? My note 3 home button just randomly locks up. The only thing I can do is access s voice but I cannot return to home screen or task manager. I have to reset the phone to resolve it, what a hassle, as you lose whatever you had open. Rogers cell said they will exchange for a refurb – yeuch. Pretty disappointed. While I am on a call, my Samsung Galaxy note 3 disconnects from my bluetooth anytime I receive incoming calls and text messages. I am also unable to receive audible text alerts while on a call. This phone has serious problems.. it is to pricey to have all of these issues. I have the SAME problem too when I’m on the phone and I cannot hear/feel the text notification. My phone will light up but that requires me to have the phone on the table and in eye view…did you fix this problem? I have AT&T. My note 3 is constantly having the need for me to “update software”. It’s seriously getting on my nerves now..
Hi, I recently ordered a note 3 N9005 online, it worked great initially, although was having trouble connecting to the play store but it worked with wifi, I downloaded basic apps like skype, whatsapp, etc. didn’t load it at all. And there was also an update available which was done OTA, after a few days it stopped connecting to the play store with wifi and data. wifi was working fine with everything else but google products, gmail was working, but maps or play store or drive won’t. I’ve tried everything, all the solutions given online, from clearing cache, resetting apps, deleting apps, soft-reset, hard-reset, phone restart, removed SD, everything, nothing works. Currently the data works one play store but no wifi. My ‘new’ Note-3 – love it!! Only issue – switching between Wi-Fi and Mobile-data is not smooth.. I have tried everything.. turned-off automatic switching.. used your *#0011# trick – still an issue.. Wondering when will Samsung fix this nuisance!! I also have same problem with my newly bought note 3.it works with WiFi but when I switch to mobile data it does not connect as the configuration applied for the internet subscription is not accepted by this phone. I’ve had my Note 3 for 2 months and I’m ready to toss it out the window while on the freeway. It keeps dropping calls, and I mean 3 or 4 times per conversation, multiple times per day, in random places where I should have no problem with signal. I look at it and the signal bar pyramid goes completely gray. But it will still say 4G LTE. Also, it will freeze up and I can’t press anything. I can’t even restart, because it doesn’t accept any screen touches. Sometimes this will go away in a few minutes and I can restart the phone, but sometimes it takes a half hour or more. Finally, I keep getting a notification with an icon of a solid-colored white badge that says “Prevention information.” When you look at the message it says, “An application has been forced to stop for an unauthorized attempt to access system in your device.” But I don’t have any apps that are not from the Play store. When I check in with Lookout, it doesn’t show any problems. I’m feeling a lot like I bought a $700 piece of crap. Any help would be appreciated. I just got my note 3 from the company, and have encountered what you described. I cannot even type in the passwod on the screen. It just will not recognize it. Any solutions you have found. NOTE 3 – When I place a call and the screen goes dark during the call when I hold the phone to me head or cover the sensor. The problem is when I uncover the sensor or try to to turn the screen back on by hitting the side button the screen does not turn back on. I have to remove the battery almost every call now! Does anyone have the same issue or know how to fix? It’s the problem with the proximity sensor. Have to fix it. these problems and others are very common among Samsung mobiles. Until Android becomes more stable and reliable system on the various mobiles and devices, we’ll keep using Apple and iOS products. The Wi-Fi fix doesn’t work for me…I don’t get any hidden menu after typing in the above code. My carrier is US Cellular. first up – i am a 51 yr old technphobe. I have had my galaxy note for 2 years and very happy with it. I am sure im not using it anywhere near to its full capability – just texts, emailing, googling , photos and a bit of calling. suddenly something has happened and it wont open my photo gallery telling me i dont have enough storage. i have deleted some apps such as facebook and twitter, but still nothing. the only option i am offered is to wipe my storage and lose all my photos. My Note 3 crashes every now and then. The screen freezes and goes black and the only thing I’ve found to resolve the issue is by removing the battery and starting the phone up again. Any idea as to why this does it. I’ve owned the phone for a week and it’s done it 4 times so far. I have a very similar problem. My Note 3 crashes when i push the home button. This started to happen every now and then since i upgraded to the latest OS. When it crashes, the only way to reboot is to take out the battery and put it back again which is a pain. But i tried to uninstall the recent apps that I installed and those just updated. It kinda solve the problem. At least for like 10 mins(cause i just did the uninstallation) it didnt freeze. My screen freezes just within a minute when i start to use the phone. So, seems like it helps. Btw, remove your sd card! Mine just got corrupted because I keep restarting it. I also tried to remove the battery and put it back again, but didn’t work for me. Hope this helps. Especially, those updated apps and apps that you installed just right before the screen freeze starts to happen. We shared the same problem! I thought it only happen to me which I don’t know what cause it. At first I thought it was the battery but then I noticed it still somehow ‘auto off’ when the battery is full. Why??? Please anyone help us! Actually, I just experienced the same problem. My note 3 freezes and I got to press and hold the power button to restart and this repeat over again for numerous times.